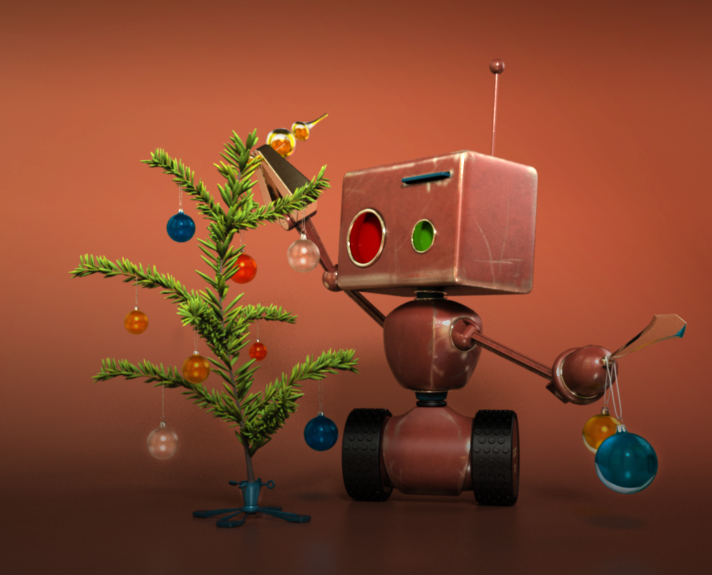 from the mental ray team! 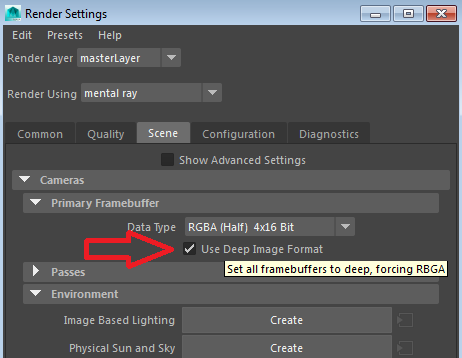 Deep OpenEXR files allow to store a variable number of samples per pixel at different depth locations to aid advanced depth compositing workflows. The Deep OpenEXR file is written in multi-part, which means that files can contain a number of separate but related images. Each render pass gets its own part (i. e. direct_diffuse, indirect_diffuse). Please note that currently only z front is supported. This means that rendering deep volumes is not possible yet. Deep and flat data cannot be mixed in the same OpenEXR file. 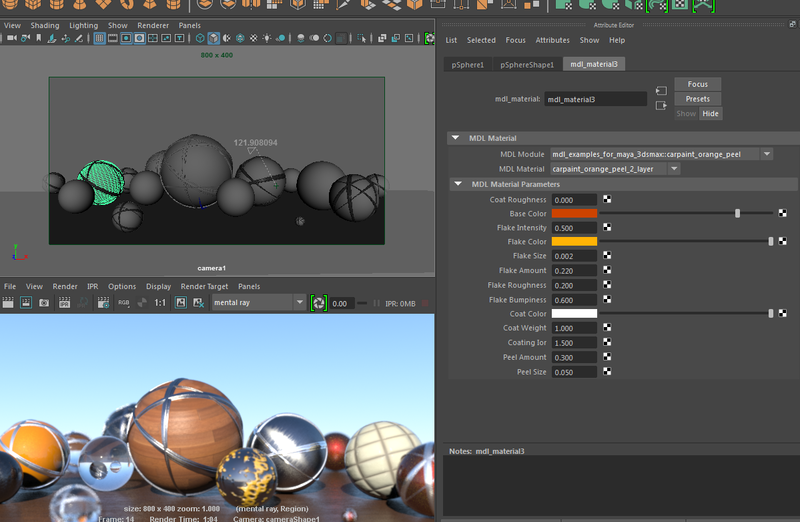 In Maya, MDL materials are represented by a new surface shader node called mdl_material, which is located in the mental ray surface material section of the “Create Material” window or “Hypershade”. An MDL module is a file which can contain one or more MDL materials and has a “.mdl” extension. 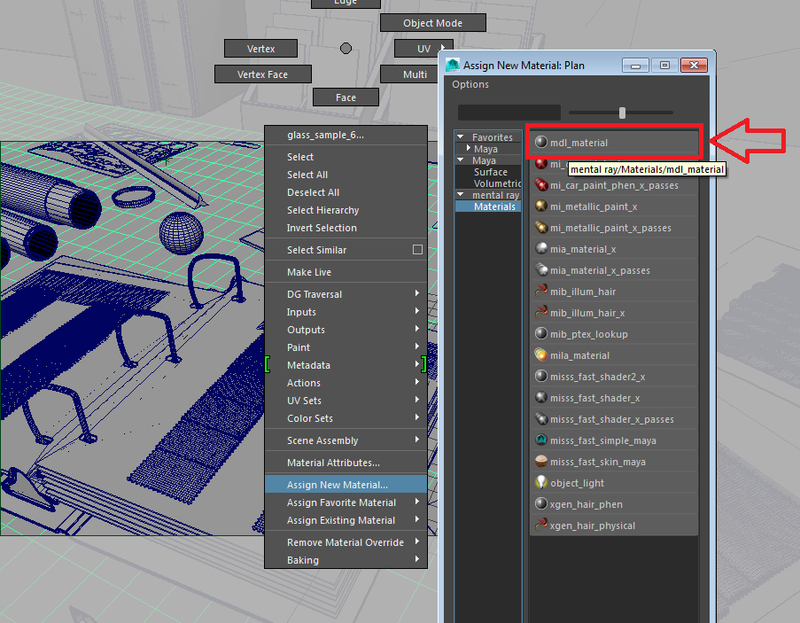 By default, mental ray for Maya 2016 ships only one module, that contains the default_material, a light grey diffuse. Because of that, both drop down lists contain just one entry. To populate the lists you will need more materials. In the next section, we will see how to get some. As already announced in the MDL introduction post, example materials can be downloaded here. 1) Unzip the archive to a temporary directory. 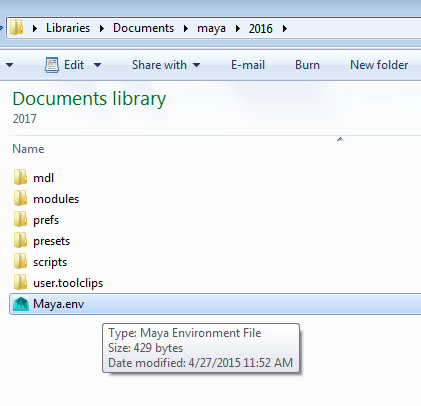 By default, mental ray for Maya uses one root directory for placing MDL modules, the directory shaders/mdl within your mentalrayForMaya2016 installation. More than one path can be specified, separated by a “;”. In most cases, MDL modules are organized into packages, just like our example package. On disk, a package corresponds to a directory. The name of the package is the name of the directory. Packages can be nested to organize complex libraries. Within a package, modules can reference each other and contained resources (like textures) relative to each other or the package root directory. Because of this, it is important to always retain the package structure. Never just copy single mdl files or subdirectories out of a package into your MDL root directory, always use the full package, including the root folder. 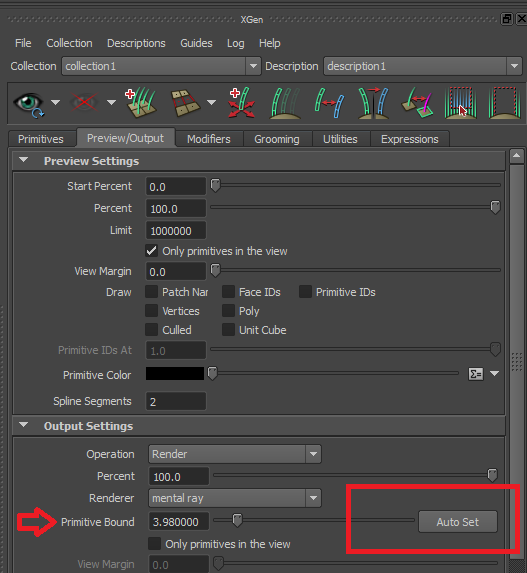 When you choose a module, the material drop down list will be populated with the materials contained in the selected module, and the first material will automatically be selected. 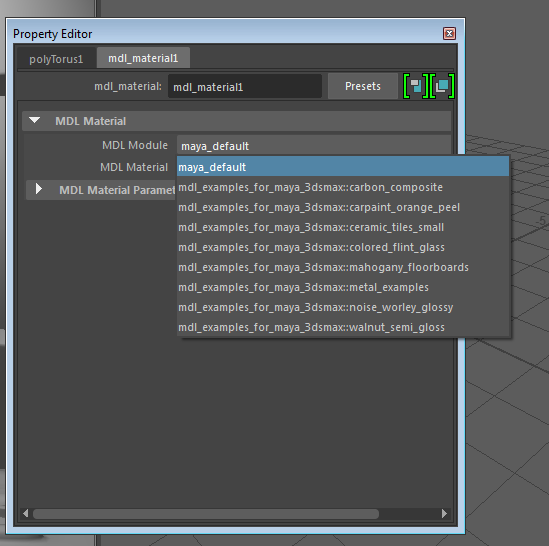 The “MDL Material Parameters” section shows the parameters of that material, which you can modify to your liking. Other MDL materials, focused on requirements from the automotive industry are available for download in the Advanced Rendering Forum. MDL materials are closed entities. They cannot be used in a shading network. 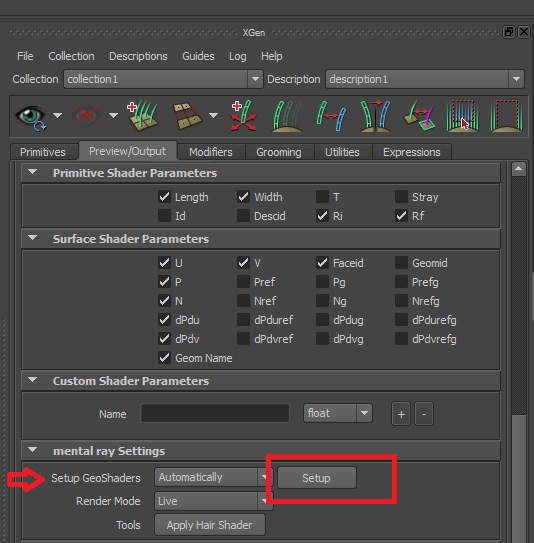 Even though Maya allows connections to traditional shader and utility nodes, mental ray will ignore these connections. However, MDL materials can be used alongside with traditional materials and shaders. In its initial state, the mdl_material node does not come with a swatch render, has no viewport representation and is also not supposed to work with IPR. These limitations will be removed in future releases. 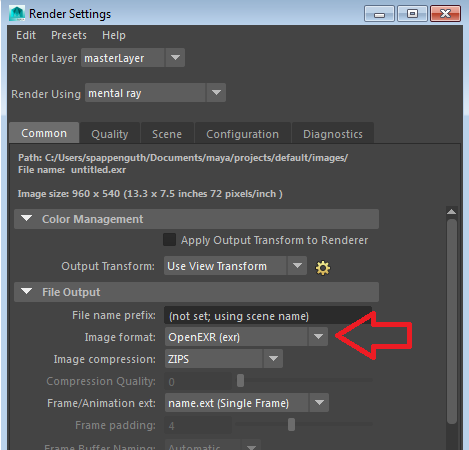 In case your hair looks clipped or thinned-out in a rendering, pay attention to the render output settings. One important setting that usually needs to be adjusted manually is the area, that is supposed to contain all generated XGen primitives. By default, this area is computed from the the bounding box of the XGen base mesh, plus a padding value of 1 for the XGen primitives. This padding value is suitable for fitting a default XGen description with hair of length 1. Real-world grooms rarely meet this condition, that’s why renders come out with clipped hair. This ensures that all hair (or whatever primitives you are working with) is being rendered correctly. As you groom along, the padding value might need to be re-adjusted, again. A lower value will cause the number of generated primitives to be reduced accordingly. This slider can be a nice tool to get fast preview renders with fewer primitives. By default, XGen uses the xgen_hair_phen shader. This shader mimics the appearance of hair by using a classical Phong model with 2 specular lobes. The shader’s diffuse color parameter can be fed by the custom XGen shader parameters root_color and tip_color. Those need to be defined in the “XGen Window” and allow us to make use of SeExpr(). We won’t go into details on xgen_hair_phen here but simply link to a good overview of all its parameters and an interesting tutorial on how to use it instead. So far so good. But still no expressions involved. Finally, lets replace this simple color by a more complex expression. XGen provides quite a long list of expression samples which can be accessed as shown in the image below. From the “Color” subset we choose “NoiseC”. We could alter the expression to change the look even further, we could create more custom parameters and combine them in the xgen_seexpr shader, the possibilities are endless, so we simply leave further experiments to you and your imagination!